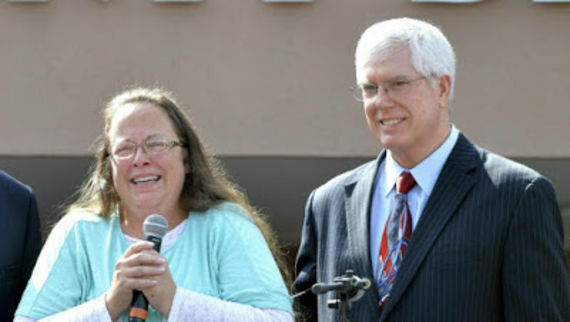 Kim Davis and Mat Staver - Why are these idiots smiling? Hate group leader (and America's dumbest lawyer) Mat Staver is appealing the decision to award attorney's fees in the Kim Davis case to the ACLU. I don't think that Kim Davis even has standing. The Commonwealth of Kentucky is on the hook for the legal fees. Staver cannot come to terms with the fact that he lost this case. The award goes to the evil ACLU. He doesn't have a client responsible for legal fees. Staver has presented the United States Court of Appeals for the Sixth Circuit with a 61 page brief. The Court has to go through this batcrap and deliberate at taxpayer's expense. Rowan County's attorney was served with a copy of the brief. He has to review it at taxpayer's expense. The Commonwealth's AG was served a copy. He has to review it at taxpayer's expense. Then there are the half-dozen law firms that represented April Miller et al (the couples that Davis discriminated against). They were all served plus the ACLU in New York and Kentucky. They all have to assign, at their expense, associates to review this nonsense. 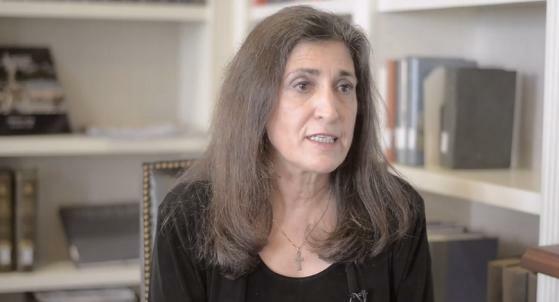 It is high time that someone ask for sanctions to make Liberty Counsel liable for legal fees.